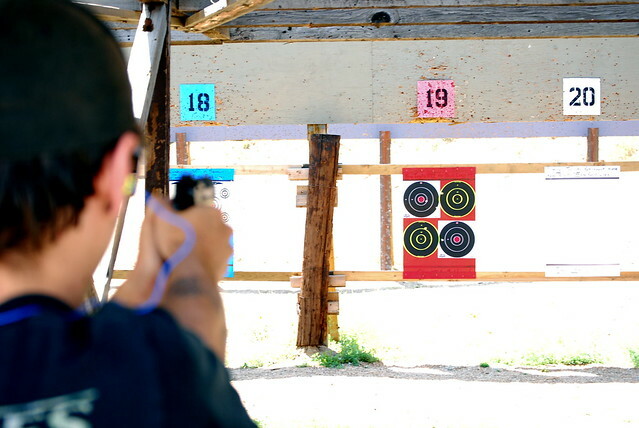 ” Whether you’re preparing for the military or police academy or just out for a recreational activity, going to a shooting range can be a stress-relieving adventure. Believe it or not, the benefits of participating in shooting sports can improve your health both physically and mentally. Builds physical discipline: In an age of the “couch potato,” this sport can help build many physical disciplines that are not only healthy but enjoyable. Increased strength, stamina, hand-eye coordination, and fine motor skills are just a few of the physical disciplines acquired in the shooting sports that apply, not only to this sport, but to all of life. Arm strength: Shooting a gun requires strong, sturdy arms and hands; in order to aim and shoot your target you must keep your hands and arms steady. ” On September 28th, 2014 a team from Hill Country Rifles joined with expert instructors from FTW Ranch to attempt a 3600 yard shot onto a 36” steel target. At more than 2 miles, it will take the bullet a full 7.2 seconds to reach the target. New Jersey native Jim Spinella is not a stranger to long distance shooting, but this shot would be a new personal record. One that few would ever consider attempting. ” Where is there any justice in locking up a 72-year-old man for up to 10 years for having an antique flintlock pistol? I’m sure in the Garden State authorities can find frivolous reasons, but there really isn’t any justification for such a prosecutorial overreach. NRA News’ Ginny Simone ventured into New Jersey to speak with Gordon VanGilder, public enemy No. 1 in Cumberland County. VanGilder is a retired teacher whose career spanned 34 years. He’s an admirer of 18th century artifacts and historical memorabilia and bought the pistol to go with his collection. The pistol featured in Simone’s report is approaching its 300-year anniversary. ” It looks like something more likely to be found in Terminator than on our soldiers, but the jointly developed weapon between Colt and Defence Research and Development Canada could be the gun our soldiers fight with in the future. It doesn’t have an official name yet, but it’s being touted as the gun that can do it all, and has been in development since 2009. It’s designed in the NATO standard “bullpup” style, where the ammunition magazine is placed at the back of the weapon, rather than the front. This is similar to how Australia’s current weapon of choice, the F88 Austeyr is designed. Like the Austeyr, it also fires the same NATO standard 5.56mm calibre bullets. 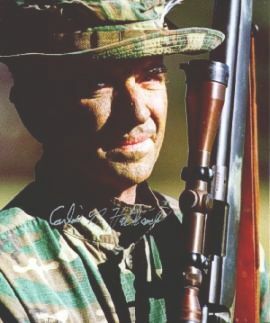 On the top of the barrel, soldiers can attach either a 12-gauge shotgun or a grenade-launcher capable of holding up to three rounds at a time. ” More firepower, improved accuracy and smart integrated accessories that connect to command and control networks are the headline features of the new integrated assault rifle concept that Defence Research and Development Canada (DRDC) and Colt Canada have developed for the Canadian Armed Forces (CAF). ” Shooting a handgun at a target is a thrill; don’t let anyone tell you otherwise. You load bullets into a clip, push it up into the gun, turn off the safety catch, take careful hold of the gun with two hands, aim and shoot. The thing jumps in your hand and you see the bullet knock a hole in the target and spark off the floor at the back of the range. There is an extraordinary rush and then you do it again. Another spark; perhaps this time the hole in the target is a little closer to the centre. Soon you have fired the whole clip and you’re loading the deadly weapon in your hand again. That is just to preface a more obvious point. To a liberal European reporter, from afar, American gun culture appears utterly insane. Americans are far more likely to murder someone or to kill themselves than people in almost all Western European countries, largely because guns make it easier. That almost 33,000 people are killed with firearms each year in America (including three Muslims in Chapel Hill, North Carolina, earlier this week) is a colossal and largely unnecessary waste of life. That people celebrate these deadly devices and carry them around while shopping, picking up their children from school or working, seems monstrous. ” In the range people fired guns gleefully at targets. Some were white, male, middle-aged and somewhat scary-looking. But not all. Across from where I fired my pistol, two black women, one with a small son, were taking turns (the child heavily supervised). 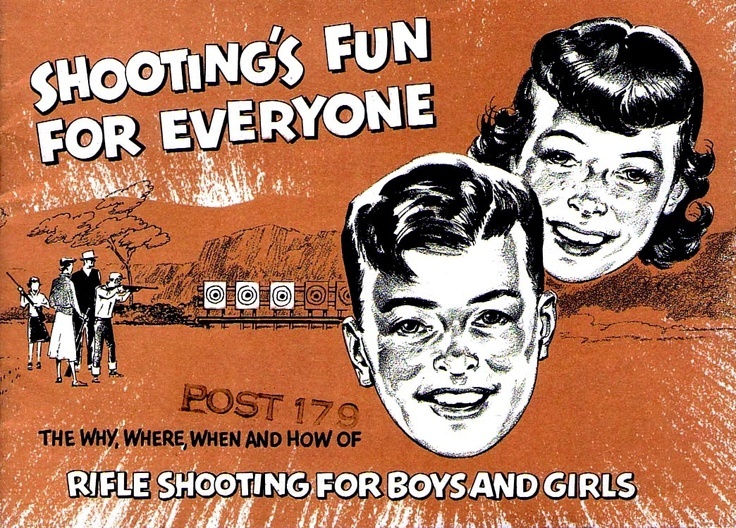 Shooting targets was a fine family day out. At a practice target outside of the range, plenty of people were learning how to hold a weapon for the first time, without pointing it at anyone, dropping it or injuring themselves as it recoiled. Again, it resembled a driving range: people hitting targets for fun. And the truth is that in the range, the violence that guns inflict on America felt extremely remote. A few stickers here and there made political points (“My right to own a gun is what protects your right to tell me I can’t”, said one). But mostly, the idea of guns as a means to kill somebody was absent. And so it is for most people who fire guns. The most dangerous neighborhoods for gun violence in America are in poor cities, not in the suburban areas where most gun owners live. Most of the 21,000 or so suicides in which guns are used take place behind closed doors. And the numbers, while devastatingly high, are not so high that most Americans will know someone who was killed with a gun. There is some confusion sown by the writer with the two separate fatality statistics wherein the ill-informed reader could easily be lead to believe ( intentionally?) that the linked 21,000 suicide deaths are in addition to and not a part of the total firearms related deaths but the typical gun owner knows better . And while the writer does take the obligatory shots at demonizing that leftist bogeyman , the NRA , overall the article from a self-declared liberal with no firearms experience and plenty of pre-conceived anti-gun bias is fairly evenhanded . Perhaps unsurprisingly the author chooses to remain anonymous , writing under the byline DK . Still , the article is worth your time . Read it all at The Economist . ” Is Sig Sauer trying to wiggle around regulation or are regulators ruling on arbitrary and capricious logic? Those are the questions Sig and the Bureau of Alcohol, Tobacco, Firearms and Explosives answer in their final motions in a lawsuit over classifying a Sig muzzle device. 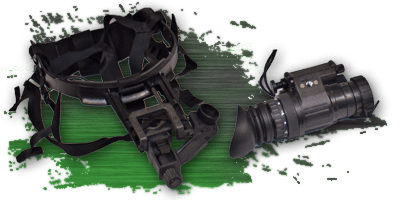 On paper, the New Hampshire-based company claimed the item was a muzzle brake, but the ATF classified it as a silencer, which would subject ownership and manufacturing of the item to strict regulations. Sig filed suit in a New Hampshire federal court April 2014 after contesting the ruling for a year. Although legal arguments quickly plateaued, public interest in the case grew as some gun rights advocates began to see the case as corporate advocacy — an effort to undermine laws regulating silencers. ” NAGR is giving away an IR Defense Hunter thermal imaging scope! The IR Defense Hunter Thermal imaging scope equipped with a 320×240 Thermal Weapon sight (50mm 5-20x), 800×600 KOPIN Display, FlIR TAU2 336×256 Sensor, 60Hz Frame Rate, High Quality Construction, MOA Reticle System, Image Capture! Entire package valued at $5,500. But you can’t win this IR Defense Thermal Imager unless you sign up below! ” In this video we attempt to burn out an AR-15 upper on an M16 lower. We are testing the durability of not only the upper receiver assemby but few specific products as well including the SRC Relia-Bolt BCG, Geissele Super Gas Block, and one of the most affordable AR barrels on the market from Faxon Firearms. Special thanks to Jake over at Quiet Riot Firearms for his help in making this video possible. Papa John’s Pizza Delivery Woman Safe , Armed Robber Shot , Thanks To A Gun … But Could She Lose Her Job ? ” On Sunday, a pizza deliverer for Papa Johns was held at gunpoint while making a delivery. The woman, not yet named by police, was forced to lay on the ground by two armed robbers. While on the ground, she was able to pull her gun out of her pocket and shot one of the robbers in the face. Donquaz Stephenson, 24, was the suspect that was shot. The other suspect fled, taking the delivery woman’s 2000 Honda Accord. ” Jerry Miculek proves yet again that he is the master of shooting and makes an incredible, seemingly impossible shot using a 9mm revolver off-hand at 1000 yards! ” Another great weapon for the US military and us army. Could prove useful in combating terrorists in Iraq and Syria. The GECAL 50, officially designated by the United States military as the GAU-19/A, is an electrically driven Gatling gun that fires the .50 BMG (12.7×99mm) cartridge. The GAU-19/A is designed for a linkless feed, but can be fed from a standard M9 linked belt if a delinker feeder is used. The rate of fire is selectable to be either 1,000 or 2,000 rounds per minute. The Humvee armament kit version fires at 1,300 rounds per minute. The average recoil force when firing is 500 pounds-force (2.2 kN). In January 2012, General Dynamics announced they would be delivering a new version designated the GAU-19/B. It provides the same firepower in a lighter platform, weighing 106 lbs. The GECAL 50 was first manufactured by General Electric, then by Lockheed Martin, and now by General Dynamics. Design work began in 1982. Early prototypes had six barrels, but a three-barreled configuration is now standard. 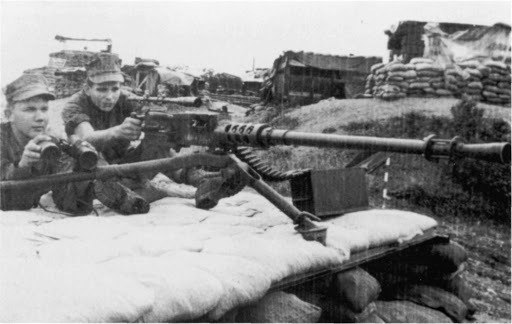 The GAU-19/A was originally designed as a larger, more potent version of the M134 Minigun. Due to the loss of nine helicopters in Grenada GE started building prototypes of the weapon in both a three-barreled and a six-barreled configuration. The six-barreled version was designed to fire 4,000 rpm, and could be adapted to fire up to 8,000 rpm. The GAU-19 takes 0.4 seconds to reach maximum firing rate. 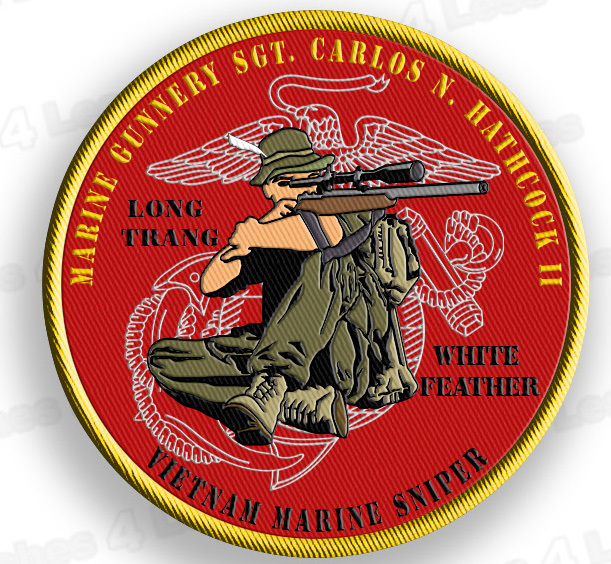 Soon it was recommended as a potential armament for the V-22 Osprey. The magazine would be located underneath the cabin floor and could be reloaded in-flight. However, plans to mount the gun were later dropped. In 2005, the GAU-19/A was approved to be mounted on the OH-58D Kiowa helicopter. It also could have been used on the Army’s now cancelled ARH-70. In January 2012, the U.S. Army ordered 24 GAU-19/B versions for use on helicopters. All were delivered by the next month. In 1999, the United States sent 28 GAU-19s to Colombia. Oman is known to use the GAU-19/A mounted on their HMMWVs. The navy of Mexico uses MDH MD-902 series helicopters with the GAU-19/A system mounted for anti-narcotics operations. Oman: Used on Army HMMWV. Patent drawing for R.J. Gatling’s Battery Gun, 9 May 1865. Although the first Gatling gun was capable of firing continuously, it required a person to crank it; therefore it was not a true automatic weapon. The Maxim gun, invented in 1884, was the first true fully automatic weapon, making use of the fired projectile’s recoil force to reload the weapon. Nonetheless, the Gatling gun represented a huge leap in firearm technology. ” Machine-gun wielding battle robots are going to be tested in Russia’s Astrakhan region for use by the country’s Strategic Missile Forces, the Interfax news agency reported Friday. Major Dmitry Andreyev, a representative for the Defense Ministry’s Strategic Missile Forces, was cited as saying that preparation for the testing is currently in its final stage.